The River State House of Assembly Election Tribunal has nullifies the election of the state speaker, Owaji Ibani and twenty other PDP members of the house. Delivering its judgment at the Election Tribunal in Abuja, the tribunal in its wisdom held that the state election was marred with irregularities in some local government areas where elections held and concluded that there were no substantial evidence to declare the respondents winner in the said election. The tribunal however held that their should be free election in the affected state house constituency . 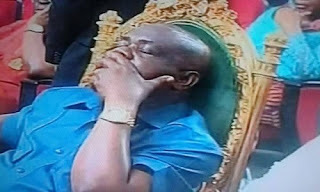 It would be recalled that the same court had on Friday nullified the election of the state governor, Barrister Nyesom Wike and mandated INEC to conduct a fresh governorship election in Rivers State. The 21 out of 31 lawmakers were People's Democratic Party Representatives in the state house of Assembly.